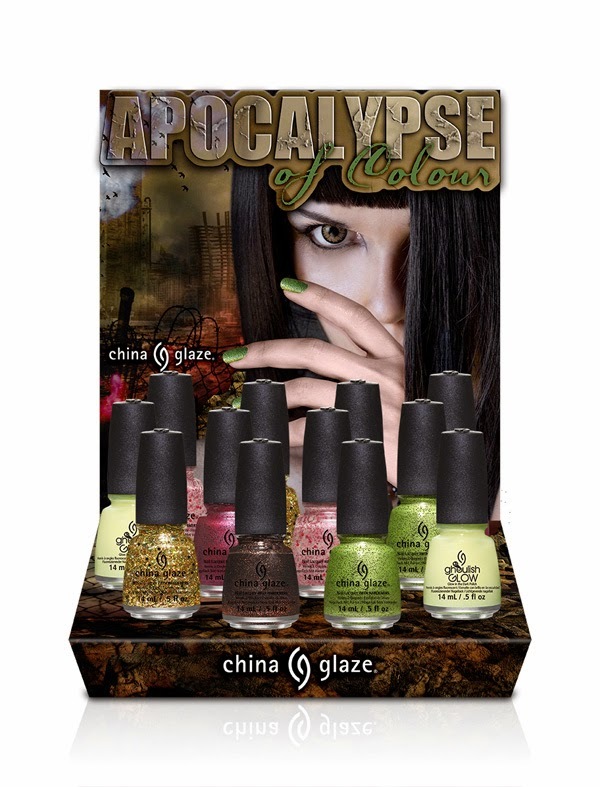 Run for your life this Halloween as China Glaze® unleashes the Apocalypse of Colour. Design an immortal manicure fit for the undead with this mix of scary shimmers, ghoulish glitters and terrifying top coats. Create a spine-chilling look with the six-piece limited edition collection, all the way down to your fingertips and toes. China Glaze® Apocalypse of Colour is available now as individual bottles and special 6-piece and 3-piece gift sets at fine salons and beauty supply stores including Sally Beauty and Ulta. For 42 years, AII has been the leading manufacturer and worldwide distributor of innovative, quality beauty and skin care products for men and women. Our product lines include Andrea, Ardell, Body Drench, Bye Bye Blemish, Checi, China Glaze, Clean + Easy, Clubman/Pinaud, Duo, European Secrets, EzFlow, Fright Night, Gena, GiGi, Gypsy Lash, IBD, It’s So Easy, LASH BeLONG, Nail Tek, No Tweeze/Micro Tweeze, 'N Rage, Poshe, Prolinc, RAW, Seche, SuperNail, Surgi-Care, Waterworks, Winning Nails, Woltra, Woody’s, and Youthair. For more information, visit www.aiibeauty.com.